Finch Lodge, Camp Cowles's 83-year-old signature building, is in serious danger of being demolished. On September 21, the Inland Northwest Council, Boy Scouts of America made a decision to demolish historic Finch Lodge at Cowles Scout Reservation on Diamond Lake. The council plans to bulldoze the National Historic Register-eligible old lodge and build a new, larger dining hall in its place. The members of savefinchlodge.com are disappointed and confused by this incomprehensible decision. Demolition expenses (costs of SEPA, demolition permit, adhering to environmental guidelines and hauling and properly disposing of the waste) added to the cost of bulldozing, reinforcing and paving a new access road to the old lodge site (to handle semi truck food delivery, large garbage trucks, etc.) could exceed the modest costs of a full restoration of Finch Lodge (for use as a seasonable facility). The costs of maintaining a road year round could equal a refurbished lodge's ongoing maintenance costs. Building closer to North Shore Road avoids enough expense to fund refurbishment of historic Finch Lodge. Consider also the additional donations, historical grant money and positive publicity that a restoration project could bring to the Council and the Board's unexplained plan is completely unfathomable. Why build the new lodge on the old Finch Lodge site? The Board has never addressed this pivotal question! The Save Finch Lodge Group respectfully urges each board member to carefully re-consider this decision. More information is now available that should be objectively evaluated. We believe a positive public image of Inland Northwest Scouting is essential if the council is to effectively serve future generations of area youth. The Inevitable evocation of the noble scouting traditions that exude from our iconic old lodge can either benefit or hurt the council. The board can unite scout volunteers and gain public respect by preserving Finch Lodge and building the new dining hall on a more sensible site. We can think of no valid reason for the Council to persist in alienating potential supporters (scouters or general public). Why destroy Finch Lodge? Why spend the additional money to build the new dining hall on the Finch Lodge site? How do they not "GET IT"? Finch Lodge is a building that Cub Scout aged kids would think jumped out of a storybook. This gem would be a valuable asset to a successful Cub Camp not an obstacle. It is a cultural (and financial) resource to the Boy Scouts of America and to the citizens of Washington State. A new building can be functional but it can neither feel the same nor carry the same historical information to future generations as the old lodge does. 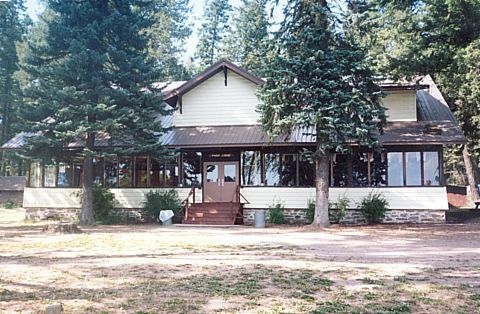 Note that Sports and Computer camps have new cafeterias, Cub Country could offer all that plus have activities in a unique, Story-book Finch Lodge. It is unfortunate that the board has thus far chosen to ignore the input of scores of Scout Volunteers, Scouts, Scout parents, former scouts, Diamond Lake Residents, The Pend Oreille County Historical society, The editor of the Whitman County Gazette, Washington Trust for Historic Preservation, Spokane Preservation Advocates, Washington Department of Archaeology and Historic Preservation and numerous interested members of the public. This input overwhelmingly advocates preserving Finch Lodge. This struggle will not be finished until either 1) the board revises their plan to include preserving Finch Lodge or 2) the last volunteer is unchained from their beloved lodge and the bulldozers roll. On this web site, we will try to lay out facts that the Council's official communications have not addressed. We will clarify or challenge some alleged facts. We will attempt to clarify that which the Council and Executive Board paint over with broad strokes of inspirational prose. We will continue to add information, so please check back. If you have questions or feedback please email us at finchlodge@savefinchlodge.com. Get (MORE INFORMATION). OR A brief, somewhat disjointed history of our struggle. 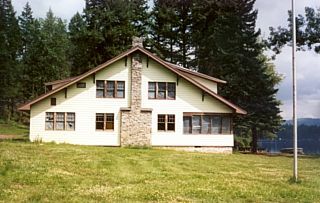 Finch Lodge was built in 1923 and was designed by noted architect, Julius A. Zittel. The substantial, rustic iteration of the craftsman style overlooks Diamond Lake. Unfortunately, exterior vinyl siding applied in the 1980’s currently hides the original clapboard siding and trim detailing. 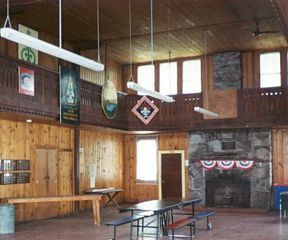 The expansive indoor walls and ceiling are covered by knotty pine tongue & groove paneling installed about 60 years ago. Massive stone fireplaces stand at each end of the space and an amazing balcony with gothic-styled wooden railing runs around the inside of the main hall. Properly restored, this building would be a real treasure for The Boys Scouts of America and Pend Oreille County, WA. The architect, Julius A. Zittel designed 6 buildings on the EWU campus (Showalter Hall, Monroe, Sutton, etc. ), Gonzaga University’s Administration Building, Gonzaga’s Monaghan Mansion, St. Aloysius Cathedral, and Mount St. Michaels in Spokane. He also designed Kootenai County Courthouse and at least 11 other buildings currently listed on the National Register of Historic Places.